Pranav has written a very small article for The Week Junior back in January. He had written about the exercise they had done at school with Mr B, learning about structures and reducing the cost for houses for poor in Africa. 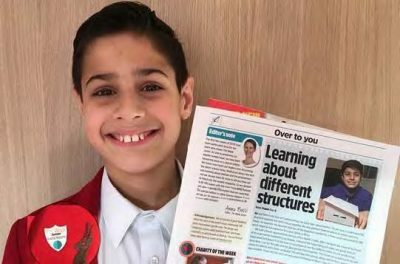 His piece was published in the magazine last week (issue dated 10th February) and he received a Roving Reporter Badge from the publication as well. Well done Pranav!